Today we went to Denbigh (Newport News) to attend the 120-year homecoming celebration at Warwick River Mennonite Church in Newport News. 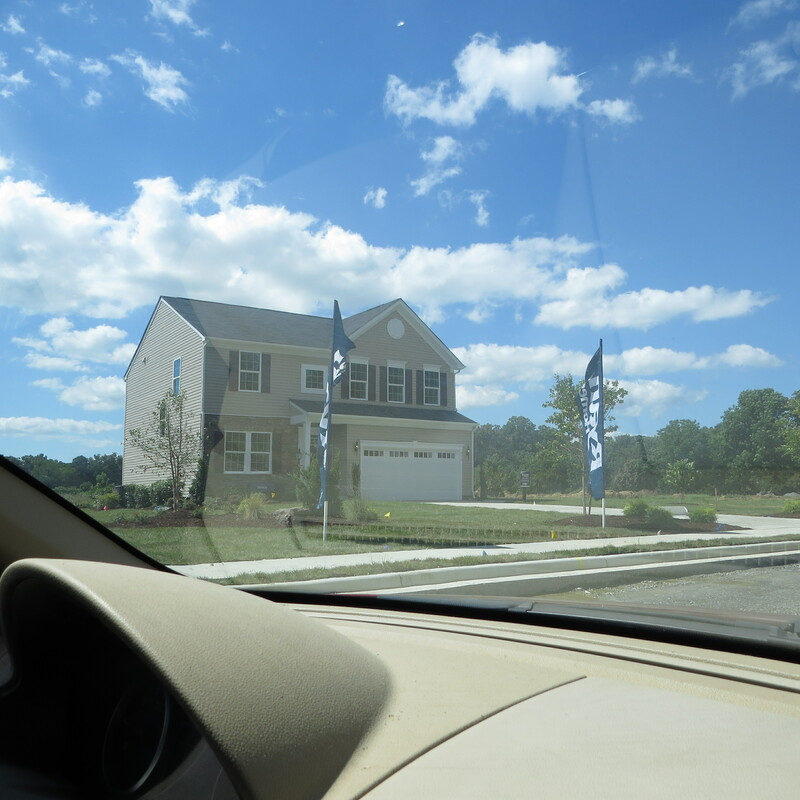 But first, we had to drive past the farm-Quarterfield Farm, Gene’s home place fronting on Colony and Hertzler Road. Well, it used to be a farm, now it is just a memory. 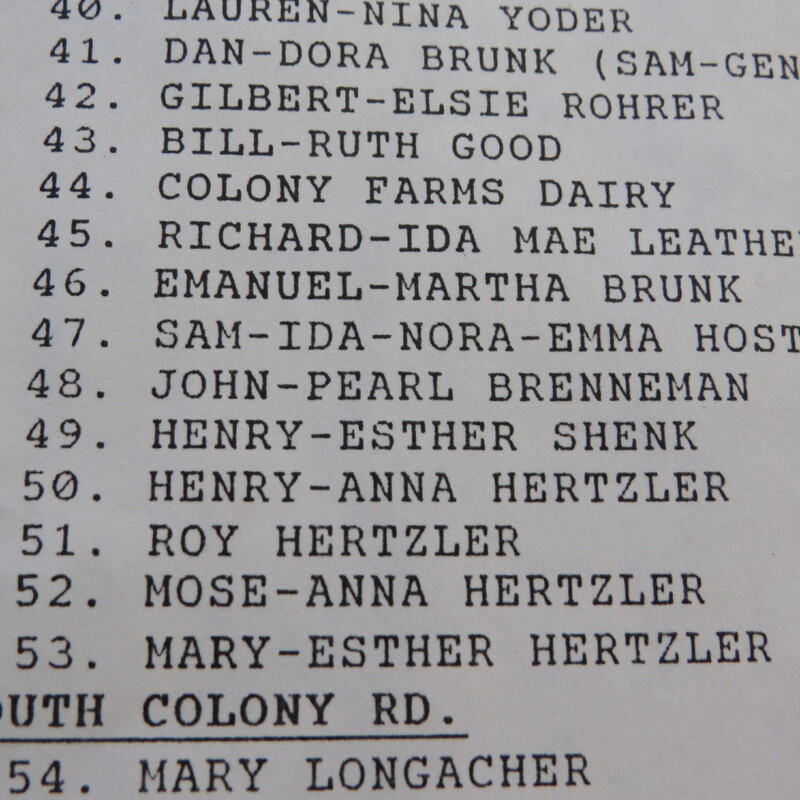 For 118 years, it was a fertile, productive farm (dairy, then a horse boarding facility) within sight of the Warwick River and belonged to the Hertzler family: Great-grandpa, grandpa and then dad Hertzler. 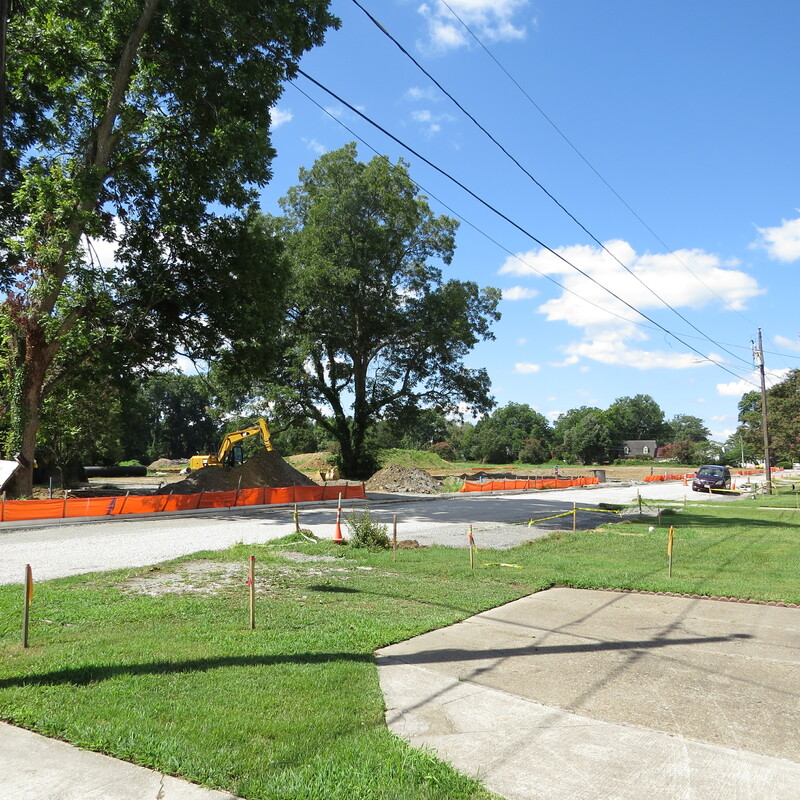 The once lush meadows and pastures are now pushed over trees, tractors have given way to bulldozers and houses are starting to grace the landscape instead of pecan, walnut, crepe myrtle and oak trees. 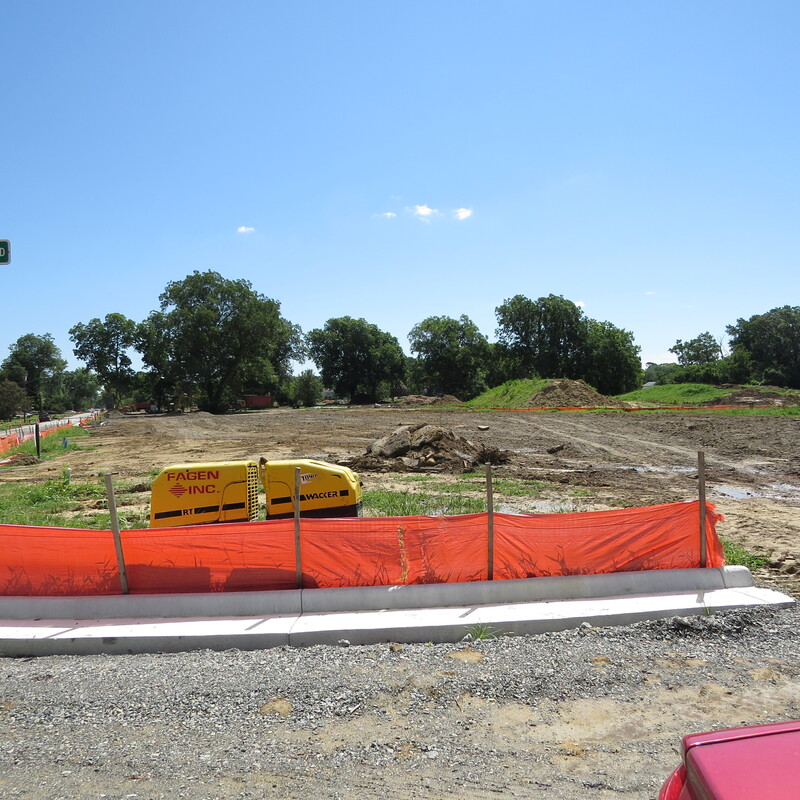 They tell us the house, barn, machine shed, milk house and shop were demolished 2 weeks ago. 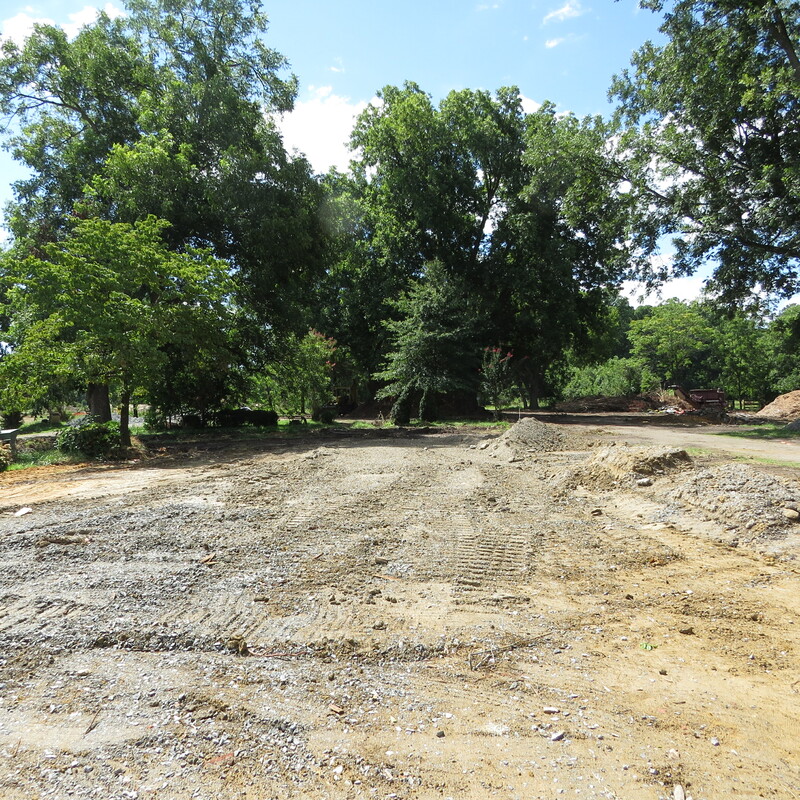 What once was a familiar homestead is now a dirt construction site. 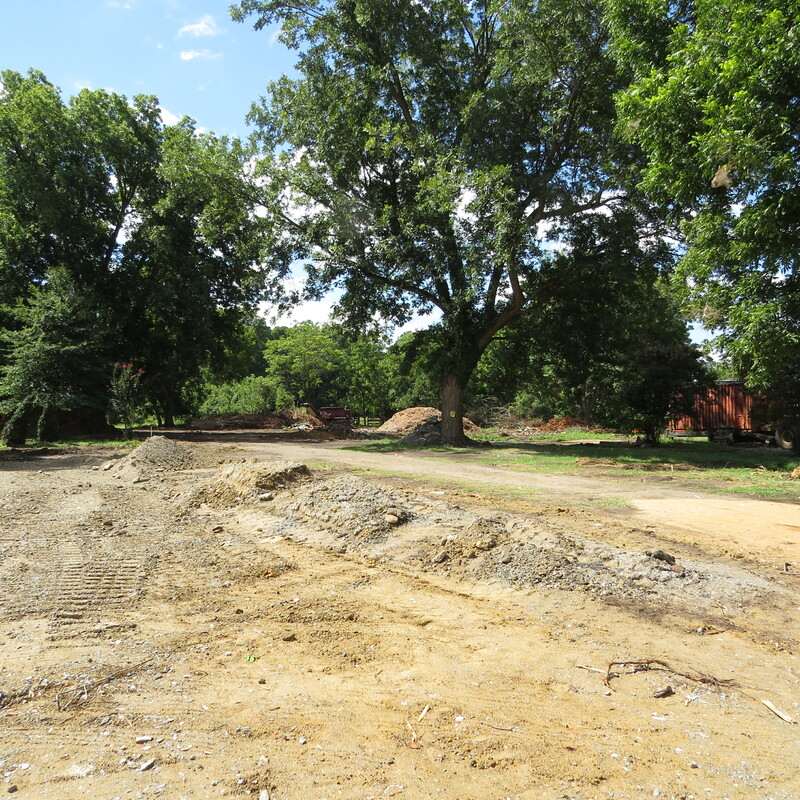 The pecan trees and shrubbery are still standing marking the outline of the yard but we were told they too will soon be gone. All traces of history have been removed, never to be recovered or preserved. This history was more than just Gene’s family. 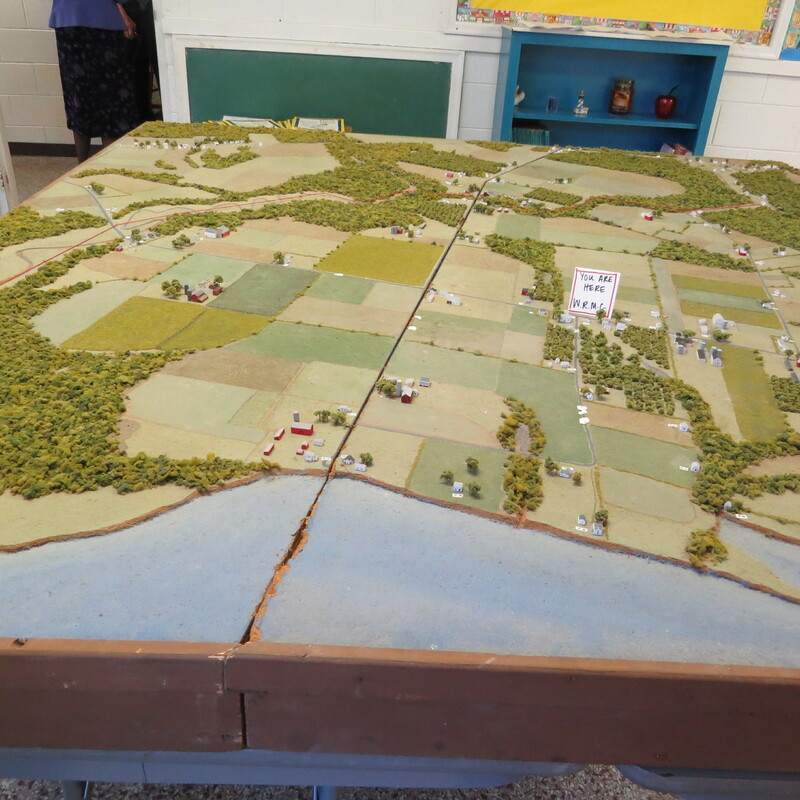 It was an important part of the history of Mennonites who came to Denbigh. In 1897 D.Z. Yoder and Isaac D. Hertzler (Gene’s great-grandpa) came to Denbigh and purchased a 1200 acre plantation for $10 an acre. This quickly attracted the interest of many other Mennonites in Maryland, Ohio, Pennsylvania and other parts of Virginia who moved there. The land was divided between the families forming a very unique close-knit faith and agricultural community called “The Colony”. A new house now built in the front pasture. The neighbors fought hard against city hall pleading for a park, a preservation of the cherished land. They fought City Hall and City Hall won. A sign saying “Hertzler Meadow” almost feels like a taunt. 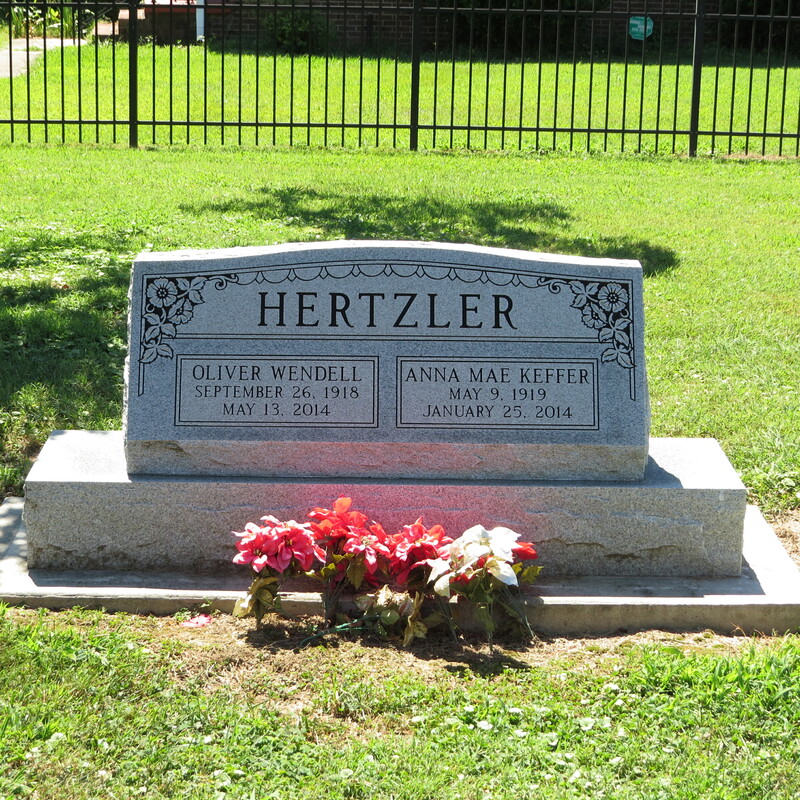 It feels sad and as a family we now only have a marker in the church cemetery a mile from the farm to document Oliver and Anna Mae Hertzlers’ existence. But, they are not forgotten. We have memories, lots and lots of memories, precious memories and pictures that we do and will continue to cherish. 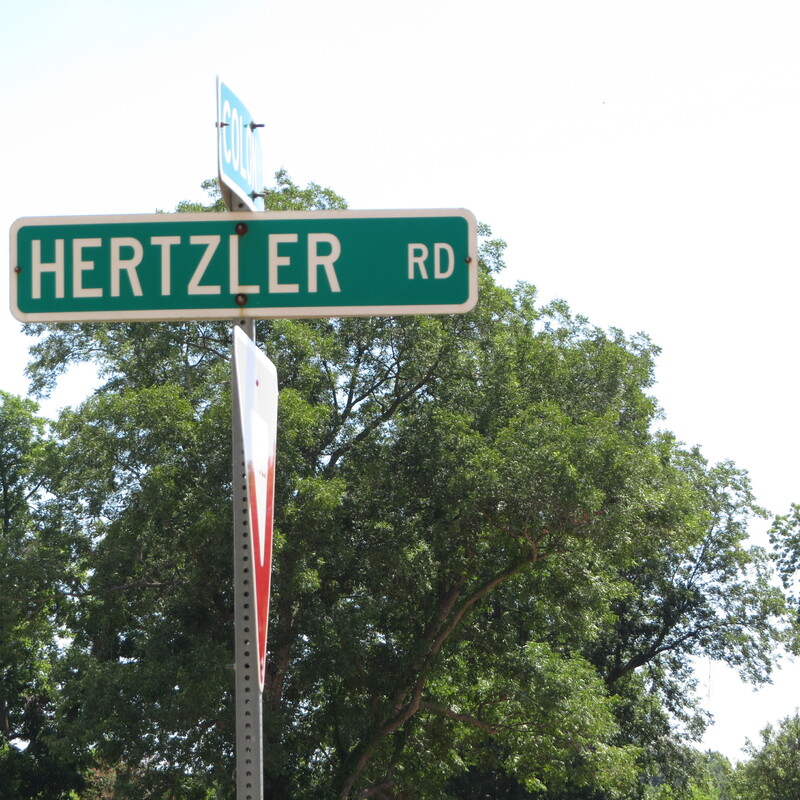 Dad Hertzler knew the inevitable was coming and he had worked out the plans before his death. We are just glad he didn’t have to see the reality of it. It reminds us of the frailty of life. We are only here for a few short years and then we are gone, never to return. How will we be remembered when there is nothing left but a tombstone? All flesh is like grass, and it’s loveliness as the flower of the field. As for man, his days are as grass; as the flower of the field so he flourished. For the wind passes over it and it is gone; and the place remembers it no more. This is a unique, to scale model of “The Colony” made by Sam Brunk for the 100th Anniversary showing how it was in 1947. It is now solid development. 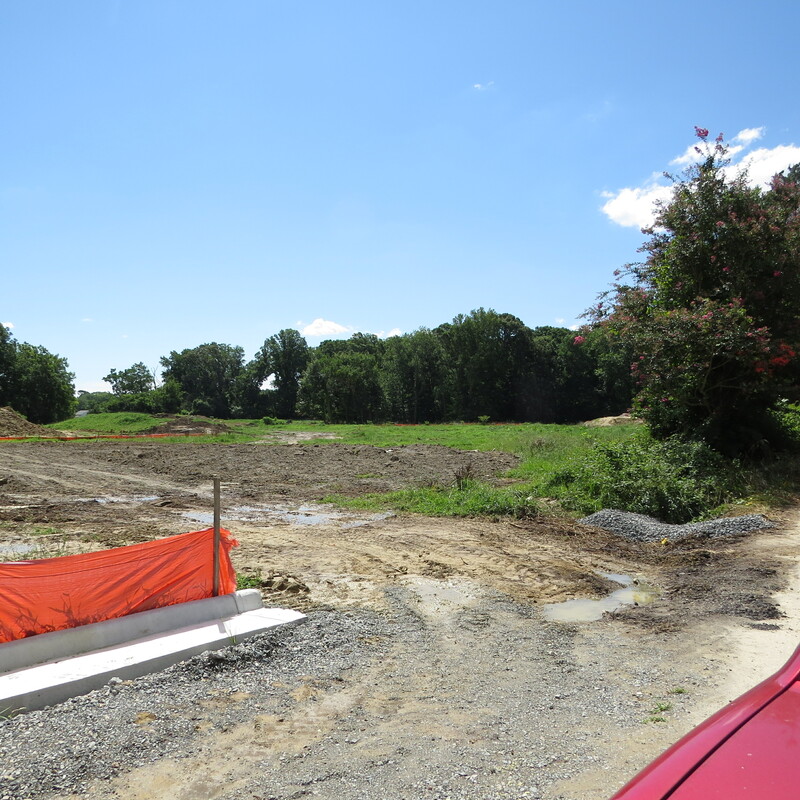 The 60 acres owned by Dad Hertzler was the last piece of land to be sold. He held on to the land tenaciously even though the city was determined to force him out. 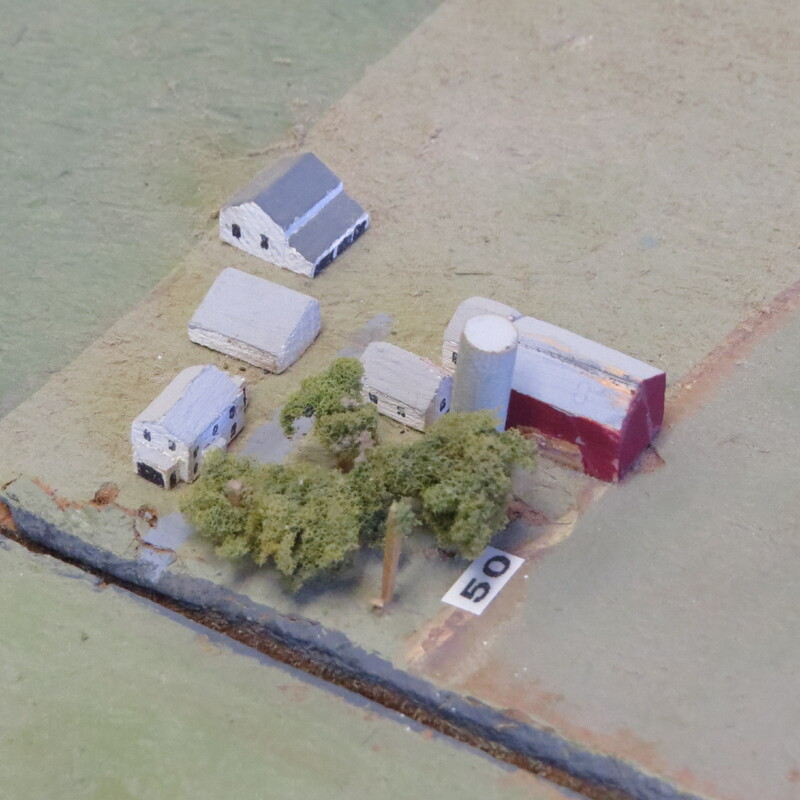 Quarterfield Farm, farm of Henry-Anna Hertzler, Gene’s grandpa. Some related blog posts about the farm. “The Block” (that’s what we called it, did you?) will never be the same. I’m glad that Uncle Ollie, my mama, and all the other siblings will never see what they’ve done (kind of interesting that the last sibling died about the time they were devastating that piece of land. Gene doesn’t remember that they did. I agree, some change is just too much to accept!! !